Stephanie contacted me a few months before her and her fiancé Sean were planning to come to California from the East Coast, she wanted to set up an engagement style photoshoot while they were here, which I LOVE and think more couples should do (or should I say I want Keith and I to do more, haha!). Stephanie and I emailed back and fourth a few times and after asking my advice, I recommended she find a cute Air BnB to rent and use for the shoot (with the owner's consent of course!). I can't recommend setting up your engagement session this way more, and I offer the same advice to all my clients. 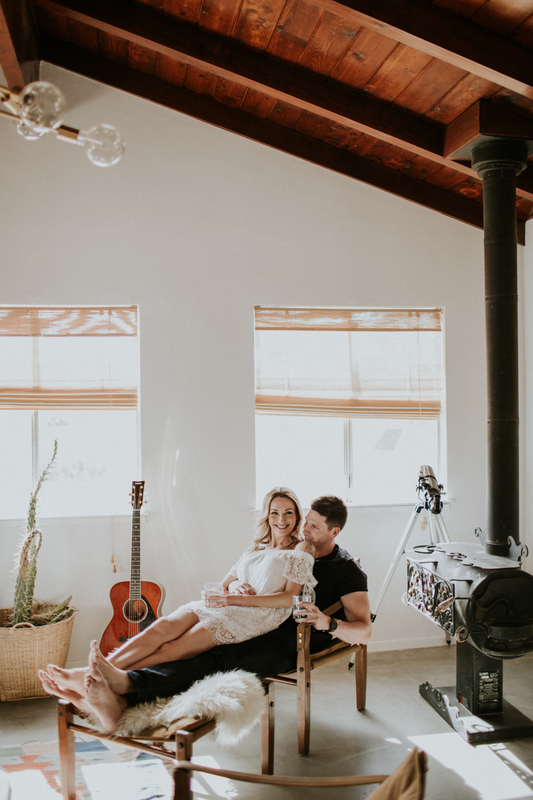 Starting the session with an intimate, laid back, in-home vibe and then heading outside for golden hour. Not only does it give me the opportunity to get to know my couples in a more relaxed setting, maybe throw back a few cocktails, but it also eases everyone into the shoot. 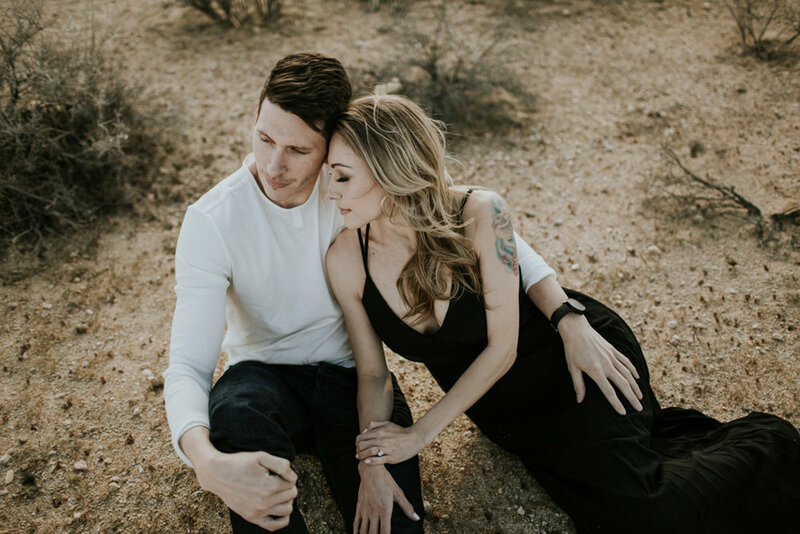 Like most couples, Stephanie emailed me right before her shoot to profess her 'awkwardness' in front of the camera - this is something I hear all the time! Of course, like all couples who say that, her and Sean were absolutely stunning humans and they were amazing in front of my camera! Don't believe me? Just look! Effing. Beautiful! Thank you Stephanie + Sean for having me!! You two are such wonderful human beings and your love is truly something special, thank you for allowing me to photograph it. If you guys want to check out her amazing newborn and Family work, or if you're looking for a photographer in the Boston area, you can go check her out HERE! Also, a huge shoutout to Mojave Modern for allowing us into their gorgeous space - link to their page HERE!